Our International Students program offers short-term and long-term training for school-age students with academic study options, as well as short-term study for post-secondary students. In collaboration with the well-established international student programs of local schools, students from other countries may enhance their dance or musical theatre training while continuing their academic education and experiencing life in Canada. Following successful auditions, students participate in the Pre-Professional Academy (ballet intensive program) or Classical Ballet School (after-school recreational classes) while attending a local private or public Middle School or Secondary School. For short-term study, FVAD offers online ESL with private tutoring to enhance students’ Canadian experience above their dance or musical theatre training. Programs are offered for short-term (3+ months) or long-term (September to June). 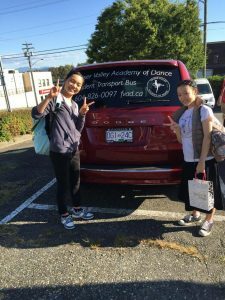 Homestay is offered by Fraser Valley Academy of Dance in the Academy Homestay Program, supported by both Mission and Abbotsford School Districts. It is important to us that our international students are placed with families who understand the discipline, structure and commitment required for intensive ballet training. Placement with our own Academy families ensures that these ideals are respected, while providing a healthy diet and cultured home environment. Our Academy Homestay families are able to obtain first-hand understanding of different cultures, from our own international staff and multi-cultural families, which further helps to settle students into their Canadian homes. FVAD families who would like to become Academy Homestay Host Families should submit the FVAD Homestay – Host Family Application Form to initiate the process. Please also review the FVAD Homestay – Guide for Students and Families. These documents can be found on our Resources page. During July and August, students may train in one or more weeks of our week-long Ballet Intensives during our Summer Programs. No student visa is required for summer training. Several short-term options are available throughout the year for post-secondary or school-age students wishing to enhance their training. Normally, no study permit is required for short-term study programs unless students are attending academic school (always check with your country’s immigration expert for advice on visas and permits required). The following short-term study sessions are currently available. Should students wish to attend at other times or durations during the year, please contact us to discuss eligibility. 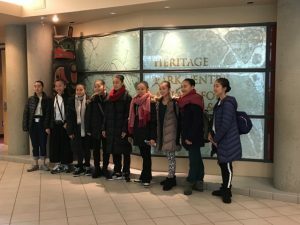 September to December – This three-month intensive training session includes the exciting opportunity to perform in our annual Nutcracker performance at the Clarke Theatre, as well as community events such as performances with the Chilliwack Symphony Orchestra and Chorus, and the Abbotsford Youth Orchestra. Students may also participate in a performance tour of local elementary schools. While training in the Pre-Professional Academy, students prepare for auditions to Canada’s National Ballet School, Royal Winnipeg Ballet School, and School of Alberta Ballet in the fall, as well as US ballet company schools in the new year. The opportunity to prepare for entry into the Youth America Grand Prix (YAGP) auditions in Seattle, USA, is also available. January to March – This three-month intensive training session includes preparation for festivals, as well as the chance to take part in community events such as performances with the Chilliwack Symphony Orchestra and Chorus, and the Abbotsford Youth Orchestra. Students may also participate in a performance tour of local elementary schools. While training in the Pre-Professional Academy, students may prepare for entry to the Surrey Festival of Dance, and the Youth America Grand Prix (if continuing from the previous Sep-Dec study session). April to June – This three-month session for advanced training includes preparation for our Annual School Performance. 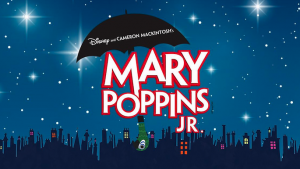 Students may also participate in a performance tour of local elementary schools. 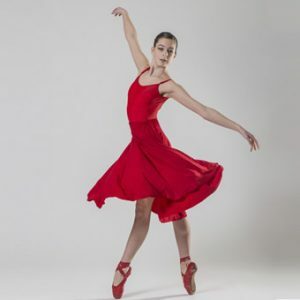 While training in the Pre-Professional Academy, students may perform at the Surrey Festival of Dance (if continuing from the previous Jan-Mar study session), and also in our Annual School Performances in June at the Clarke Theatre. July/August – Summer Ballet Intensives are offered in four one-week sessions as part of the Summer Programs. Additional short-term options of varying months can be arranged. Contact us to discuss your needs. Students interesting in applying to any of these programs should submit the Student Audition Package which can be found on our Resources page. For fees relating to the academic sessions, please contact us. You may also view the fees on the local International Student Program website for Mission or Abbotsford. For more information on auditions, academic study, home-stay programs, student visa applications, or any other questions, please contact us.